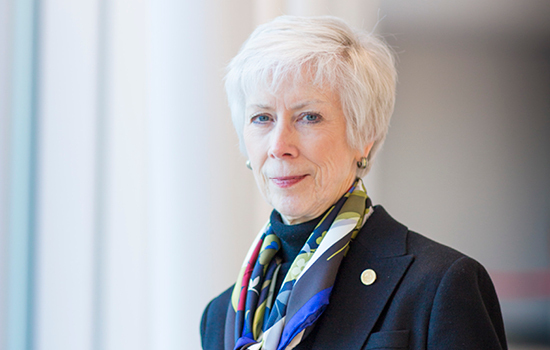 Last fall, Dean Linda McCauley and I traveled to Washington, D.C., for the rollout of a pivotal document on enhancing the partnerships between nursing schools and academic health centers across the nation. The report, published by the American Association of Colleges of Nursing (AACN), has proven to be a great conversation starter. After I joined Emory Healthcare (EHC) in November, Dean McCauley and I began talking about how to transform nursing at Emory. While the School of Nursing and EHC have a history of partnering together, the time had come to do more to serve the growing number of EHC patients and advance nursing science in reforming our health care system. ■ Assessing and serving patients and communities more effectively through inquiry, critical decision-making, and intervention. These ideas, Dean McCauley and I agree, will form a blueprint for aligning the nursing school and EHC under the name "Emory Nursing." More work remains to jointly finalize a structure and details for our alignment. With the strong nursing excellence that exists across EHC—three of Atlanta's four Magnet hospitals are Emory Healthcare hospitals—we are poised as a national role model. One of the things that drew me to Emory was the opportunity to work across practice, education, and research. Whether you work for Emory Healthcare or the School of Nursing, we are all part of academic nursing because we live under the same mission—better health for patients and communities. The opportunity is to embrace it together.